December 08; 7th Youth Parliament Pakistan Study Visit to the United Kingdom and Denmark spanned from November 30 to December 05, 2015. The Study Visit was aimed to facilitate learning about the democratic and Parliamentary systems, institutional measures of public accountability and transparency of Governments. The programme aimed to provide specific learning about the UK and Danish democracies, electoral, parliamentary and political systems. The 12-member delegation spent one day, November 30, 2015 in London, UK at the Houses of British Parliament while 4 days December 01-04, 2015 of learning and interaction in Copenhagen. The Pakistan Delegation on the Study Visit to London & Copenhagen included: Mr. Abubakar Ayesh (YP4-58-AJK01), Ms. Anusheh Bakht Aziz (YP3-16-PUNJAB05) Deputy Speaker Third Session, Mr. Ayaz Haider Bangash (YP3-55-FATA01), Mr. Daniyal Hassan (YP1-53-ICT01), Mr. Emaad Durrani (YP4-03-BALOCHISTAN03) Leader of the Opposition, Fourth Session, Mr. Qaiser Nawab (YP4-09-KP05), Deputy Speaker, Fourth Session, Mr. Saifullah Hassan Rana (YP4-51-SINDH11), Leader of the Opposition, Fourth Session, Syed Tauqeer Mehdi Kazmi (YP4-61-GB02), Ms. Uzma Gul (YP2-51-SINDH12) Deputy Speaker, Second Session and Mr. Waleed Bizenjo (YP3-04-BALOCHISTAN04), Leader of the House, Fourth Session. PILDAT officials who joined the Delegation included: Ms. Aasiya Riaz, Joint Director, Mr. Faheem Ahmed Khan, Projects Manager, PILDAT, Ms. Aimen Khan, Projects Manager, PILDAT respectively. During a one day interaction at the UK Parliament on November 30, 2015. Members observed Chamber proceedings of House of Lords and House of Commons in Westminster and met various senior officials. The most prominent among them was Ms. Shabana Mehmood, Member British Parliament who explained the role of an MP in Britain and emphasized that an MP should only be involved in legislation and an MP’s domain should not include disbursement of development funds as is the norm in Pakistan. The Members of Youth Parliament were also briefed about the procedural details of House of Lords and House of Commons by Baroness Berridge from the Conservative. There was a particular focus on Parliamentary Committees and their role in monitoring and improving the performance of Government. The role of British Select Committee on Foreign Affairs was mentioned in particular with a special focus since it is expected to propose recommendations on the bill regarding UK’s role in war against ISIL. A 3-D presentation on historical evaluation of governance system in Britain was given to the Delegation Members. 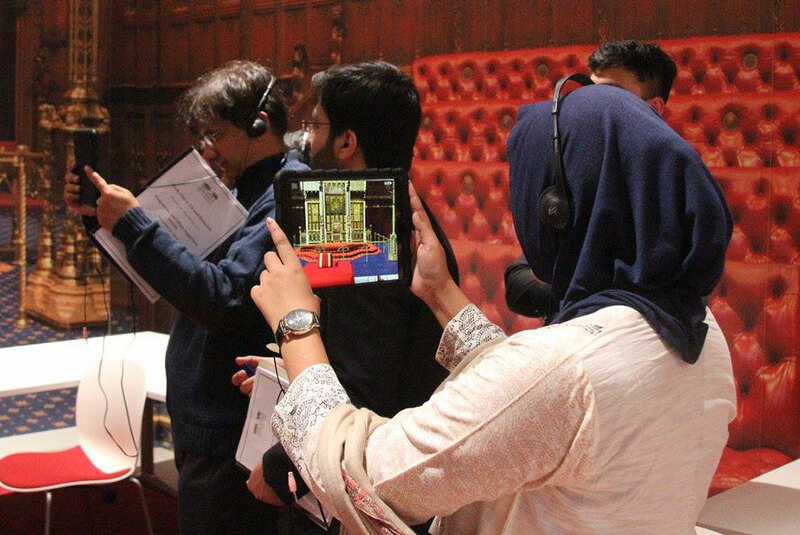 The presentation comprised of multimedia effects, which were used to explain how Britain evolved to the present day model of constitutional monarchy. The chronological presentation started from 12th Century and described how House of Commons and House of Lords were established and how they have evolved overtime. It also included the most important events and revolutions - such as Glorious Revolution and Suffragettes Movement. The Delegates also had the opportunity to take a tour of the Education Centre at the Victoria Gardens. The Centre is a world-class education facility that inspires and connects young people with Parliament and democracy. The first day in Denmark; “Introduction to Programme and ‘Danish Democracy’” was marked with multiple interactions of the Delegation Members with various Danish officials. A lecture on Danish Democracy, Political system and processes and the Danish Electoral System was given by Mr. Robert Klemmensen from the University of Southern Denmark. The lecture focused on the constitutional evolution of Denmark, explaining in detail the major intervals, which led to change in the Danish constitution. The Delegation Members were enlightened and impressed with the work of the Danish Supreme Audit Institution (Rigsrevisionen) during a presentation given by Ms. Nanna Schnipper, Special Consultant at Rigsrevisionen. 7th Youth Parliament Pakistan Study Visit Delegates observed the Election Poll at the City Hall on the day of EU Referendum on December 03, 2015. The sessions on the third day in Copenhagen were diverse and enriching as the delegation met with Mr. Ole Damkjaer from the leading newspaper, Berlingske Tidende, in the first session. Followed by a detailed discussion on municipality affairs with an emphasis on municipality elections in Municipality of Copenhagen. Addressing the delegation over the sensitive agenda of “Freedom of Speech”, Mr. Ole highlighted the role of Danish media in the modern political and social affairs of the country. Mr. Damkjaer stressed that Danish media is independent in its affairs related to reporting and publishing. The Parliament and other institutions have strengthened the media and vice versa in this part of the world. Briefing the delegates on organising elections in the municipality of Copenhagen, Ms. Anette Ludnd Hansen, Head of Unit in the Secretariat and Press Unit, Ms. Hansen highlighted the issues pertaining to elections on the Election Day including the “Letter Vote”. She further explained the process of voting in advance, at home, hospitals, in prison for inmates, schools and such initiatives that are encouraging and motivating the final turn out of the election in the municipality. Result of which the parliamentary elections of 2015, more than 44,000 votes were casted through letter vote. During a visit to the City Hall, Ms. Suanne Moller, Election Official Chairperson, Conservative Party held an interactive session with the delegates. Ms. Moller briefed members of the delegation on the entire vote casting procedure and balloting in the presence of election officers as well as the importance of volunteers during the voting. The day concluded with an interactive meeting with Mr. Markus Ramussen, Danish Conservative Youth who discussed the perspective of his party over the issues pertaining to foreign policy with special emphasis on the terrorism being propelled from the war driven countries like Syria, Iraq and Afghanistan. He presented his party perspective on refugee crises for global peace and peace missions. He also expressed the long-term policies what his party aims to formulate and propose the same to parliament for due implementation. The sessions on the second day were held in Danish Parliament (Folketing) focusing on role of Parliament, Foreign Affairs, Natural Decision and Policy Making. Members of Youth Parliament got the opportunity to get enlightened and actively interact with Members of Parliament, Committee Chair-Persons, Youth and Political Party representatives. Mr. Ole Birk Olesen, MP (The Liberal Alliance), shed light on the role of Finance Committee and the complex process of forming annual budget in Denmark. Mr. Olesen stressed, along with economic benefits, the committee is most concerned about ensuring justice to common citizens in budgetary processes. Mr. Flemming Kordt Hasen, Head of Section, the International Department Denmark explained the role of Committees dealing with foreign affairs. Mr. Hasen talked about the role of Foreign Policy Committee, Foreign Affairs Committee, Defence Committee and European Affairs Committee. Mr. Christian Juul Lentz, Advisor, The Communication Department, talked about the introduction of democracy to Danish Youth. As the proportion of youngsters voting in elections is decreasing day by day; the speaker explained what measures the Government is taking in attracting the youth’s attention towards democracy and importance of voting. Mr. Lentz, briefed the parliamentarians about ‘School Elections’ campaign initiated by the government and its results so far. Member of Parliament, Chairman Foreign Policy Committee, Ms. Yildiz Akdogan, briefed Members of Youth Parliament Pakistan about functions of Foreign Affairs Committee and Denmark’s stand on different global issues. The current refugee crisis, the role no EU and non-European countries in political grounds were also discussed in detail. The MP also expressed her wish to visit Pakistan in the near future. The Head of Section of EU Information Ms. Nina Porst Moller had a very interactive session with the delegation later in the afternoon. The Honourable MP talked about the electoral system and the upcoming Referendum in Denmark. Members of Youth Parliament Pakistan were informed about process of conducting elections and precautions taken to ensure transparency. Later, Ms. Ulla Sandbaek, MP Danish Parliament and representative of ‘The Alternative Party’, presented the manifesto of The Alternative Party that revolves around green transition, renewable energy, recycling and awareness of climate change. She also clarified the party’s support in taking more refugees in Denmark. The Youth Parliament delegation was informed about the structure and function of committees in accordance to the Constitution of Denmark by Mr. Morten Villumsen, Advisor, The Committee Secretariat. At the end of the day the Delegation Members were given a brief tour of the Parliament building by Mr. Kenneth Finsen, Higher Executive Officer, The International Department. 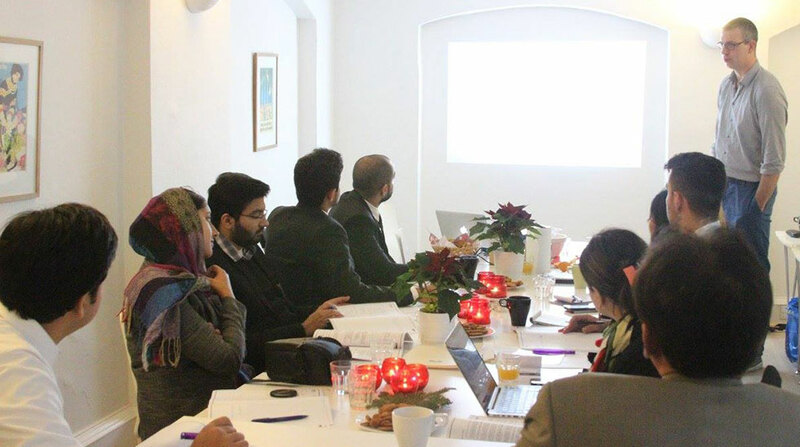 The 7th Youth Parliament Pakistan Study Visit to London & Denmark concluded successfully on December 05, 2015. On the last day of the 4 day visit to Copenhagen, the delegation visited one of the oldest schools, Vigerslev Alle Skole, where the Head of Pedagogical Department Mr. Jacob Buchvald Hansen comprehensively explained the working of the school and dynamics involved in designing the curriculum and how Danish schools are promoting, encouraging and motivating the pupils with respect to knowledge based learning, inculcating democratic values, nurturing civic and social sense with an emphasis on inter faith harmony. The delegate met school children and interacted with them in the areas of mutual interest. YPP delegation called on Mr. Jon Rantzau Harne, (Students Assistant, Hvidovre Municipality) who addressed the members of the delegation on Decentralization and the role of municipalities and functioning of different committees. The delegation met Mayor of Hvidovre, Ms. Helle Moesgaard Adelborg from Social Democratic Party who welcomed the delegation and gave brief overview of her municipality. Later in the day, a detailed presentation was given by Ms. Anne Wallberg, (Chief of Secretariat of the Mayor’s office) on School System and how Danish public schools are functioning which follows the social welfare model and students are getting education regardless of social class and Danish schools are playing major role in promoting inter class harmony and decreasing the social gap that exist normally among the students. The Delegates also had an interactive session with Mr. Jesper Moller Sorensen, Former Danish Ambassador to Pakistan and Political Director at the Ministry of Foreign Affairs, Denmark. The day ended with a sum up evaluation of the study visit where the delegates were divided into 3 groups. Later a dinner was hosted by Pakistan’s Ambassador to Denmark, H.E. Masroor Ahmed Junejo at the Pakistan Embassy, Denmark for the Delegation. PILDAT would like to thank Commonwealth Parliamentary Association, United Kingdom (CPA-UK) for the support and facilitation provided during one-day interactions held in London.